Skinnygirl Leads Spirits In Volume % Growth. 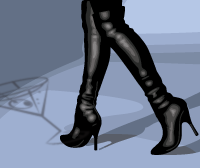 Aaaargh. Low-calorie Skinnygirl Cocktails had the fastest volume growth last year in percentage terms, according to data released by Technomic’s Adult Beverage Resource Group. 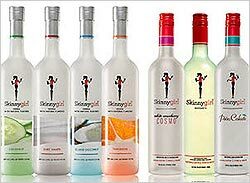 Skinnygirl sold 586,000 9-liter cases last year, a 388.3% jump in volume over 2010, the research group’s 2012 SpiritsTAB Report shows. Beam Global acquired Skinnygirl from its creator, reality TV star Bethenny Frankel, last year. Familia Camarena Tequila, marketed by E&J Gallo subsidiary Alto Spirits, ranked #2 in growth, up 233.3%, to 250,000 9-liter cases. Others in the top five: Malibu Prepared Cocktails from Pernod Ricard USA (up 158.6%, to 150,000 9-liter cases); Fireball Cinnamon Whiskey from Sazerac (up 157.1%, to 180,000 cases); and Rökk Vodka from Diageo (up 122.2%, to 200,000 cases). 2011 was a healthy year for spirits overall, the Technomic data show. Total spirits volume grew 3.5%, while volume among the top 250-selling brands showed slightly slower growth of 3.1%. Those top brands accounted for 88% of the country’s total 199.7 million 9-liter cases, and 89% of total retail spirits sales.